All too often, I have received a call, where the caller wants to drop their listing from another brokerage and list with my team. But their Listing Agent tells them that their Broker cannot cancel the listing because the Listing Contract does not have a cancellation clause. The caller proceeds to inform me and anyone else within earshot – Do Not List With That Company. As an experienced REALTOR, I have heard this scenario many times. I am always curious as to why the Brokerage would ever want their client out complaining to family, friends, and co-workers about how terrible and disgusted they are with their Brokerage. Why would a company want to have their reputation ruined just to keep one property listing. The message is clear. 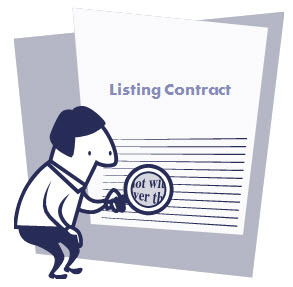 When listing your home and interviewing a REALTOR, ask them up front if their Listing Contract has a Cancellation Clause with a mutual release. Have them explain their company policy. A knowledgeable Agent sees a cancellation clause as an incentive to get your home SOLD. A top listing agent will explain their marketing plan as well. They will confidently list your home at the right price and have the ability to SELL your home in a timely manner.